This Cilantro, Lime & Wine Pesto Mac n Cheese has beautiful sophisticated flavor combinations, while also being a down-right comfort food! Have you ever felt like there was something you found out about where you felt you had uncovered a major secret? Well, that happened for me not only by discovering this unique flavor combination, but also by discovering the region where the wine I used in this dish came from. 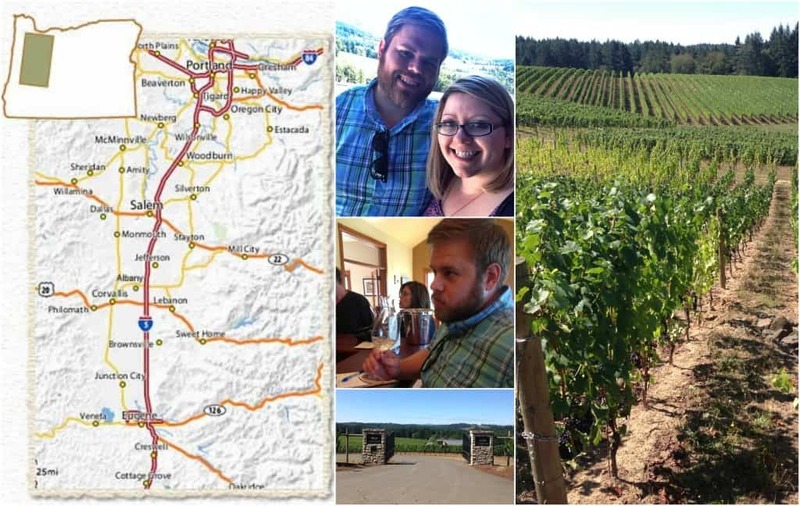 This past Fall, my husband and I took a trip to Portland (we seriously fell in love with the area) and based on a recommendation decided to take a day trip to Willamette Valley and check out some Oregon vineyards. We drove along the highway, exited, and all of a sudden, it was like we were in a whole different world. Rolling hills as far as the eye could see with vineyards tucked and hidden into the gorgeous landscape. To be honest, I didn’t even know that Oregon had such an amazing wine country before I was standing, jaw to the floor, looking around. I may have looked like a super tourist, but I didn’t care because it was just SO PRETTY! I highly suggest taking a trip to Oregon Wine Country, if even just to look at the beautiful landscape. their wines were actually affordable and could be shipped (which we did and it was such a treat to get the 2 bottles of Rieslings upon returning home). 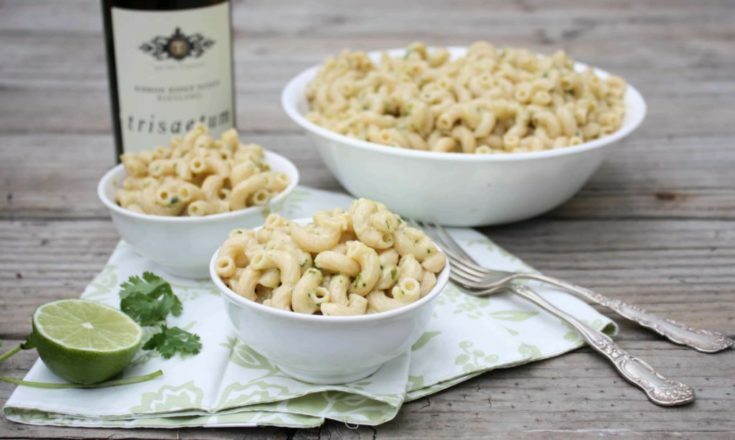 Fast forward to this week, I was enjoying a lovely glass of Trisaetum 2012 Ribbon Ridge Estate Riesling and was about to make dinner when I thought that a dash of wine would really compliment the flavors of the cilantro lime pesto, and so, this amazingness of cilantro, lime, and wine pesto mac n cheese was born! The cheesy noodles burst with fresh flavor from the pesto! Soooo yummy! Don’t have any Riesling on hand? No problem, feel free to substitute with any white wine! While pasta is cooking, make the pesto. To do so, just put all the ingredients in a food processor and pulse for 30 seconds to a minute, then you're all done. If you like a finer pesto, pulse for an additional 30 seconds. Set aside. When pasta is finished cooking, drain water from the pasta and leave pasta in a colander while you make the sauce. In the now empty pot you used to make the pasta, melt the butter and milk, over medium-high heat. When it starts to boil, sprinkle with salt, and turn heat off. Now add the pasta back into the pot, pour the shredded Four Cheese Mexican blend over the pasta, and spoon the pesto on top of the cheese. With a spoon slowly fold over until your mac n cheese ingredients are all combined. Allow to cool for a few minutes, then serve! Thank you for the super sweet comment 🙂 Portland is definitely beautiful, if given the chance to go again, I’d jump up and down and say YES haha! 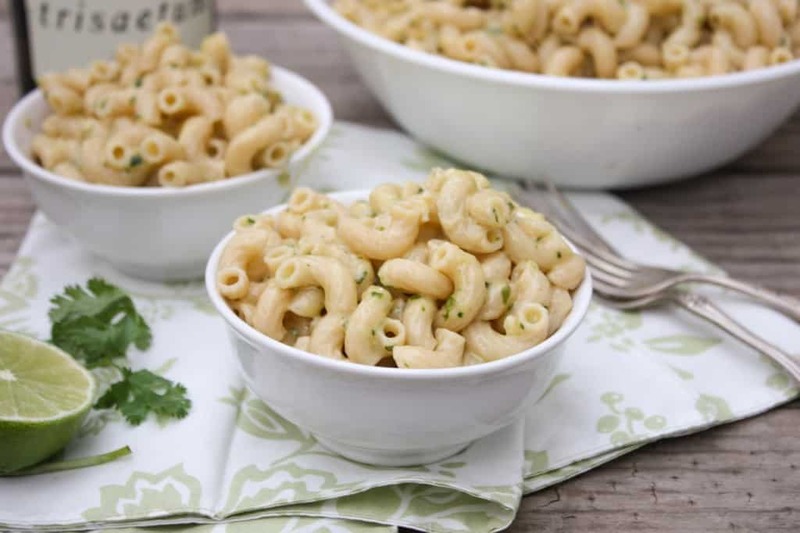 The Mac n cheese…you hit the nail on the head, it was so creamy and delicious while having all the nice hints of cilantro, lime and wine! Hi Sweetphi, we love Portland, all the funky little restaurants and amazing farmers markets, they are everywhere. This dish looks and sounds amazing, and the wine you picked to accompany it is perfect. I’ve always wanted to go to Portland – now you have me wanting to go even more! 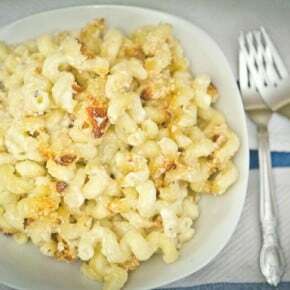 I love mac and cheese in all its forms, so this is just delicious to me! I absolutely love Portland, and but am sad to have never made it to Oregon wine country. 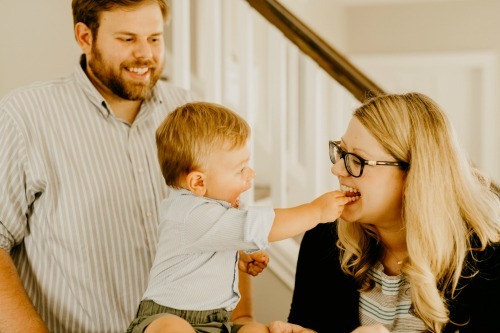 I love the way you turned your travel memories into a delicious dinner! Thanks for your sweet comment Erin! If you ever get back to Portland, I’d highly suggest a little day trip to the wine country, it’s a little funny, you’ll be driving and exit the highway and see the regular stripmalls and gas stations, and then BOOM, it all falls away and you’re in the middle of wine country!